A modern Pear-shaped diamond engagement ring, single stone design, created with solid tapering shoulders and an elegant court profile band. 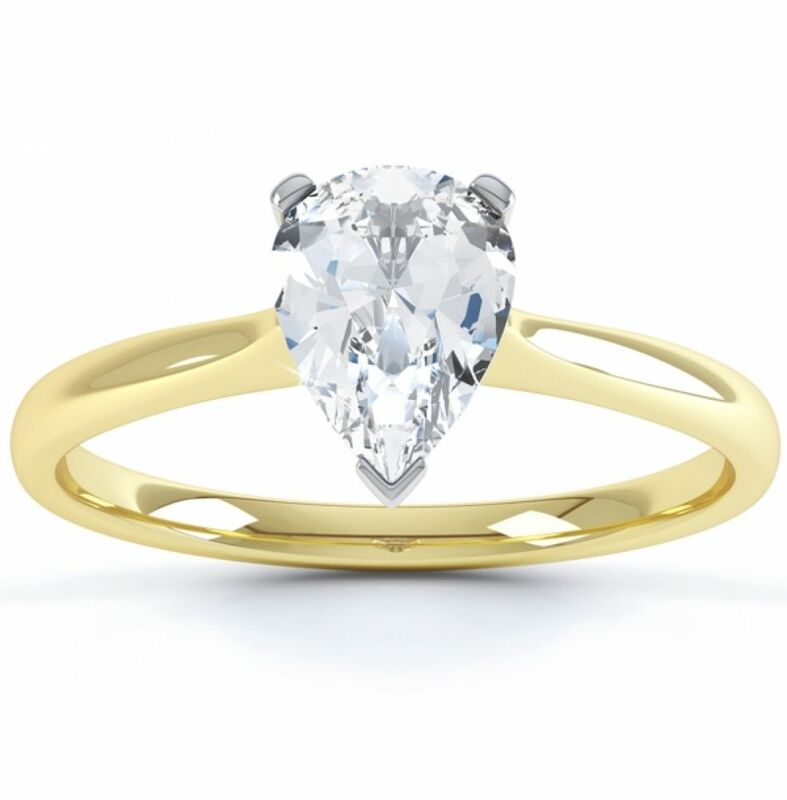 Joelle encapsulates all things visually elegant with the subtle difference of solid shoulders, this alternative to Pria , provides a wonderfully simple design for any Pear Shaped Brilliant cut Diamond. 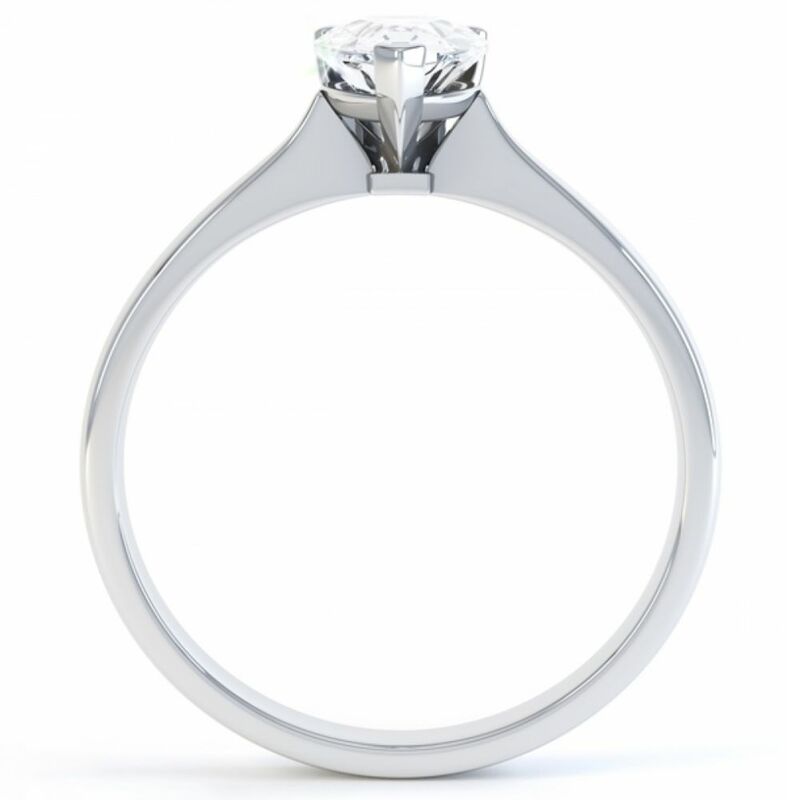 We apply a suitably sized ring setting for your Diamond choice, across many optional carat weights, colours and clarities. 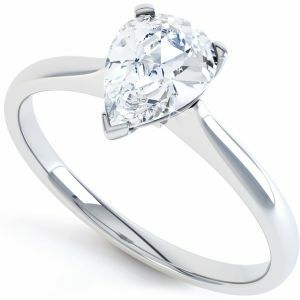 The Diamond is secured by 3 elegant claws, above slender tapering shoulders with a court ring profile. Please allow approx. 3-4 weeks for us to create of this design for you. 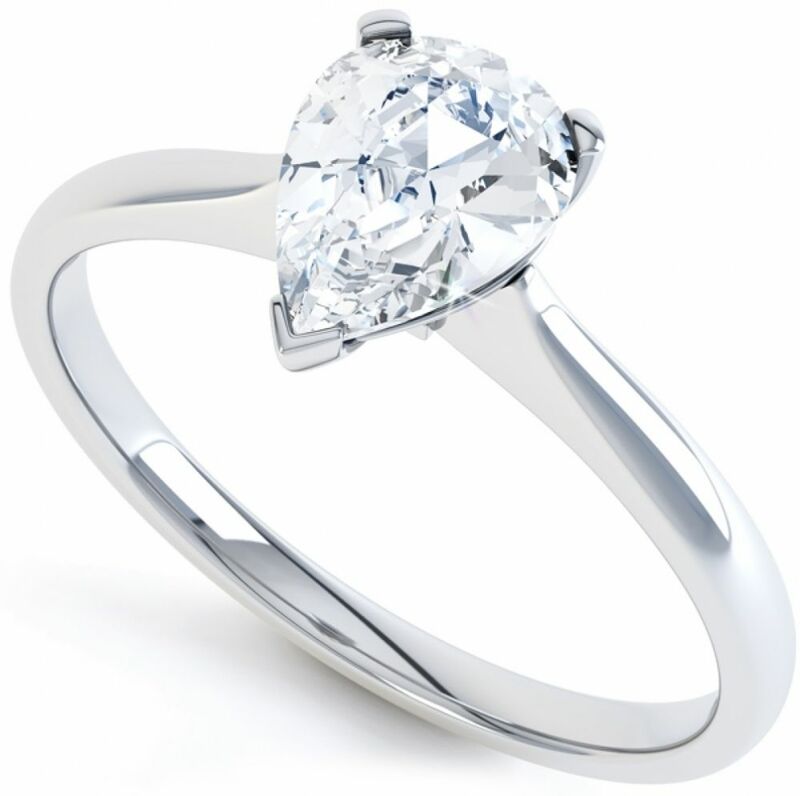 We can fashion this ring in a wide range of metals including Platinum, Palladium, 18ct White Gold, 18ct Yellow Gold or 100% ethically sourced Fairtrade Gold. Delivered to your door in our bespoke packaging with the added reassurance of our 60 day returns policy and a free ring size adjustment if needed. Service rating : Service was very good- i was kept up to date with order progress, without having to chase etc.